I have just re-read this book, having initially enjoyed it many years ago. I connected with it again, even more so this time round. And even more so now, the furore that surrounded the appearance of The Country Girls in 1960 both infuriates and embarrasses me…another fuel to my fire on the issue of repressed and fear driven Ireland. I like O’Brien’s prose. It is readable and immediately accessible, but also nuanced and intelligent. Women of Ireland indeed lived lives of worry and fear, suffering much in their years of waiting. 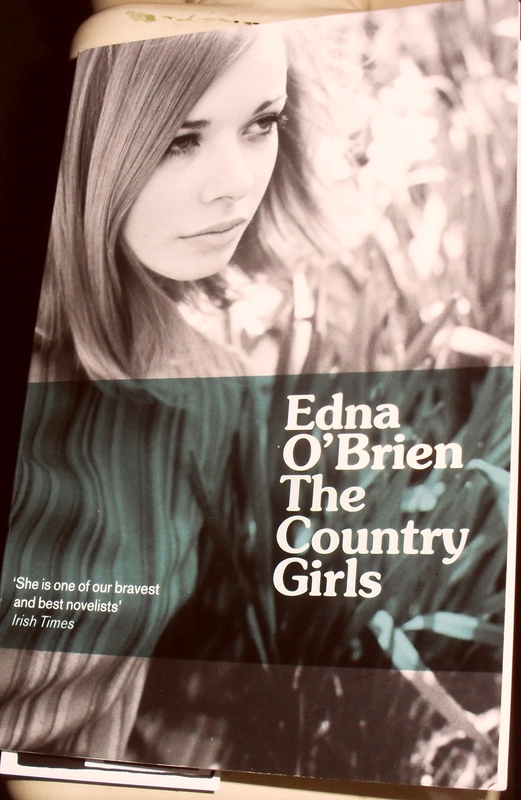 The Country Girls is very much about escaping that Irish female destiny, which at least partly explains its condemnation by the fear-driven Catholic Ireland. I no longer need to go places, at least not so much physically, but I am glad that I left Ireland behind, physically, when I could and did. It promises to be eclectic, provocative, and thought provoking. The Pier was the second film I saw at this weekend’s Irish Film Fest. [Actually, it was the third, as this screening also included the short film, Pentecost, which was a gem]. I am not sure even now what I thought of The Pier, but nonetheless, there are some things that may be worth noting. The first is a personal one. I had no idea that the film was located in and around Schull, my ‘spiritual home’. Thus, recognising the area, and the locals, was a wonderful and warm surprise. The film itself, written, directed and starring Gerard Murphy, was a more mixed experience. It tells the somewhat familiar Irish story of the ‘prodigal’ son (Gerard Murphy) returning home. He is summoned back from the US with the news that his father (Karl Johnson) is dying. He duly returns, only to find that his father is not dying, after all. He appears hale and hearty, and as cantankerous as ever. Although he is dying, actually and imminently. We later discover that he has lung cancer, a diagnosis he eventually shares with his son. This prompts a grudging reconciliation of sorts between the pair, which is at times touching and moving. However, the father’s role is too much of a type, a caricature of sorts, that of a truculent, difficult and bitter man, who mostly engenders little in the way of sympathy or empathy. Murphy’s character is more likeable, and understated. A confused and dour sort, his moments of kindness, particularly towards the local pair of children who seem practically orphaned, are endearing. The realisation of imminent death brings out the best in the old man, perhaps too predictably, and at times slightly maudlinish. But this is not a tear jerker. I am not sure one connects enough with the protagonists to go that far.